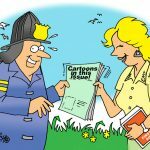 Firefighter cartoons are one of my favorites to create and I offer them here on my site for licensing. Many ways to use my cartoon humor can be considered. Ideally, a cartoon that is used in a power point can help to convey a message to your audience and that single line drawing will be remembered as added humor that made an indelible impact on the audience. Safety meetings can also use humor added on a bulletin board etc. This is a small handful of ideas with which you should consider the use of firefighter cartoons. You might also see a cartoon in any collections accessible through this page which might work in a colorized format used for a special project, don’t hesitate to ask about that. Questions can be answered and any of the gaglines can be changed to better suit the project you are working on. 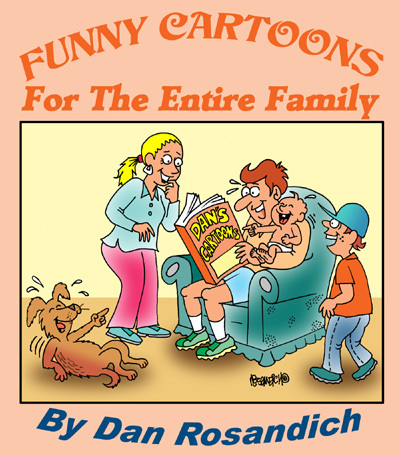 I also specialize in custom cartoons which are also another option besides licensing any existing cartoons presented here in my firefighter cartoon collection.